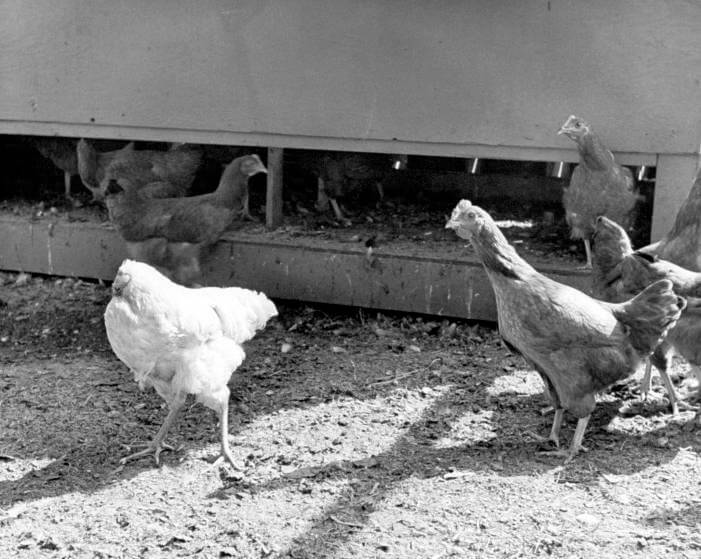 At late night, the headless chicken still walking, Olsen thought he would soon die so he put it in an apple box. Next morning, he checked the box for its dead body, but "The damn thing was still alive!" 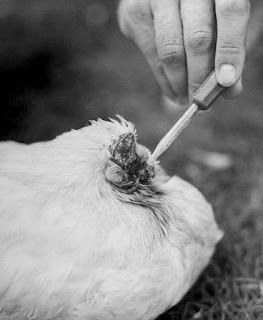 The chicken was fed with a syringe or dropper, through the hole that remained in the area of decapitation, which came directly into the esophagus. They cleaned his mucus the same way. They also took Mike to the University of Utah where he was examined and even beheaded other animals to see whether they will live. The news of the chicken, Mike, who lived miraculously without a head, began to spread like gunpowder, the local newspaper went to the farm to interview the family who owns the headless chicken. Hundreds of people eager to know and see this prodigy of the animal. Olsen turns this curious pilgrimage into a good method to earn a handful of dollars. The fame reached by the headless chicken led him to make a long tour of theaters, sets and local fairs that paid their good sums for exhibiting the animal. Over the next 18 months, Mike became one of the most famous and well-known 'characters', valued at more than $ 10,000. After 18 months 'Mike, the headless chicken' died. Many scientists wanted to intervene at the autopsy and find out what had been the reason for that kept this prodigy chicken alive for 18 months, despite having severed the head. Dr. Tom Smulders, a chicken expert at the Center for Behavior and Evolution at Newcastle University, explains that it is surprising that the bird did not bleed to death. The cut, in Mike's case, was made in the right place, it is certain that cut did not reach the jugular vein, and an instant blood clot prevented him from bleeding to death. Although most of his head was severed, most of his brain (brain stem) that controls body, heart, breathing and main functions and one ear were left on his body. This is what made Mike managed to live a year and a half more without most of his head. 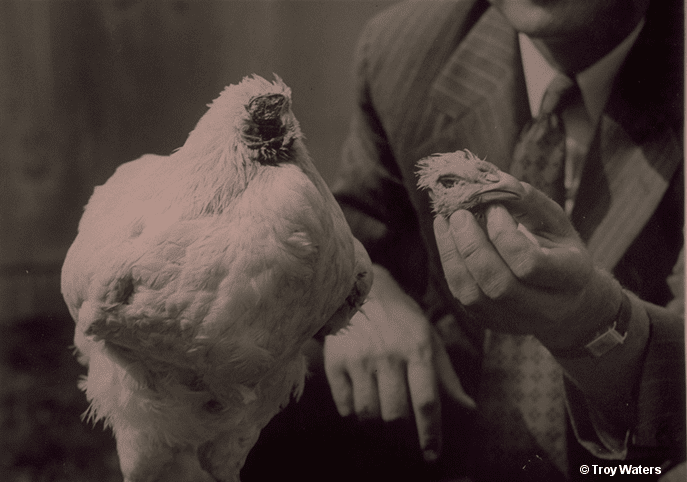 Many wanted to try to get their chickens to live without a head, but despite trying to repeat it has not happened again. Mike, the Headless Chicken, is now an institution in Fruita, Colorado, with an annual "Mike the Headless Chicken Day", the third weekend of May, starting in 1999. Events held include the "5K Run Like a Headless Chicken Race", egg toss, "Pin the Head on the Chicken", the "Chicken Cluck-Off", and "Chicken Bingo", in which chicken droppings on a numbered grid choose the numbers.